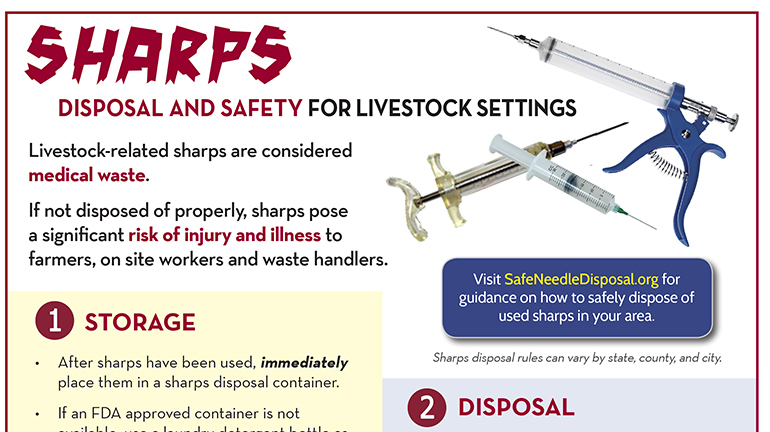 One of the early initiatives for the Upper Midwest Agricultural Safety and Health Center was researching needlestick injuries in animal agriculture and “best practices” for prevention of needlestick injuries. It was reported that over 80% of farmers1 (Jennissen, Wallace et al. 2011.) have accidentally stuck themselves with a needle, prompting UMASH to develop educational materials related to needlestick prevention in agricultural settings.